Reports today state that Browns quarterback Johnny Manziel has an “imminent” meeting scheduled with NFL investigators about the incident that took place back on October 12th in Avon with his girlfriend. The investigation will deal with if Manziel violated the league’s personal conduct policy or not. The quarterback, who played in relief of an injured Josh McCown on Sunday in a loss to the Rams, was recently questioned by Avon police after he and his girlfriend were involved in an argument. The girlfriend, Colleen Crowley told police on the scene that the quarterback pushed her head into a car window while they were going back and both. Manziel nor Crowley were arrested. General manager Ray Farmer stated on Monday that Manziel couldn’t be suspended over the incident, and that the most the team could have done is is make him inactive for the Rams game, which they of course did not. Another report Monday from TMZ said that the NFL was looking into the incident, and that Avon Police had been contacted by the league into what exactly they saw and what took place. 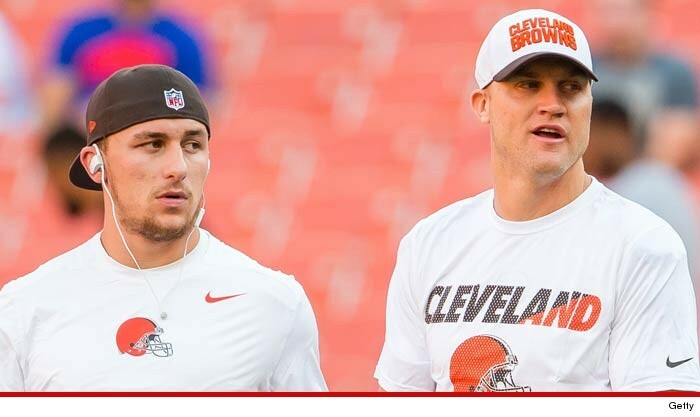 McCown didn’t practice with the Browns Wednesday due to his shoulder injury, and Manziel took all the first-team snaps.